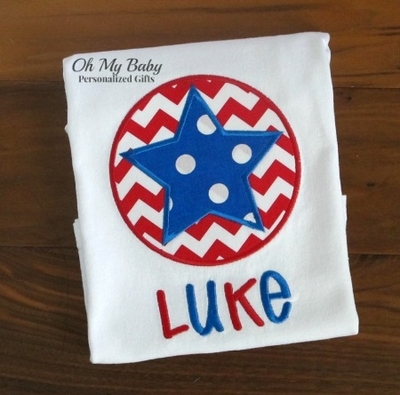 Personalized patriotic star in circle shirt. Perfect for Memorial Day or July 4th. Star in circle applique design in red and white chevron and blue with white dots.